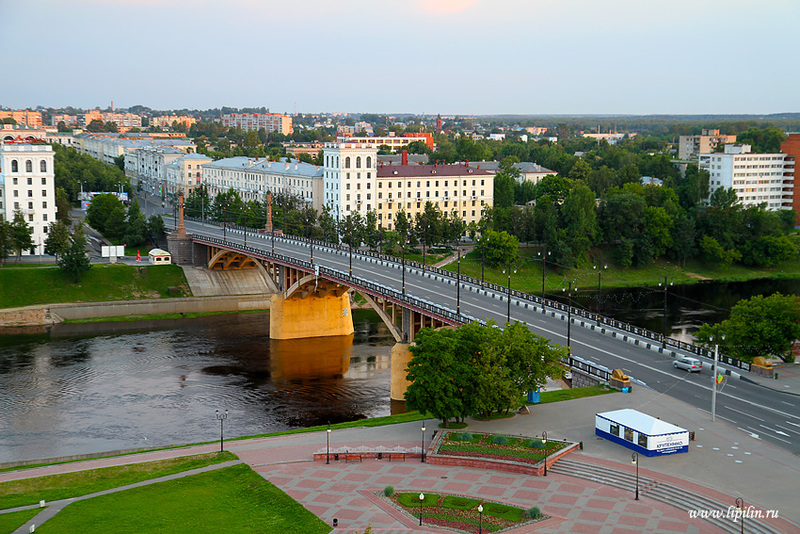 If you still have not decided what to look in Vitebsk, take a stroll along the Kirovsky Bridge. It is here that wonderful species of Vitebsk are born. And in the evening, when the city is buried in the festive light of night lights, one can hear one of the wonderful legends from the history of Vitebsk. 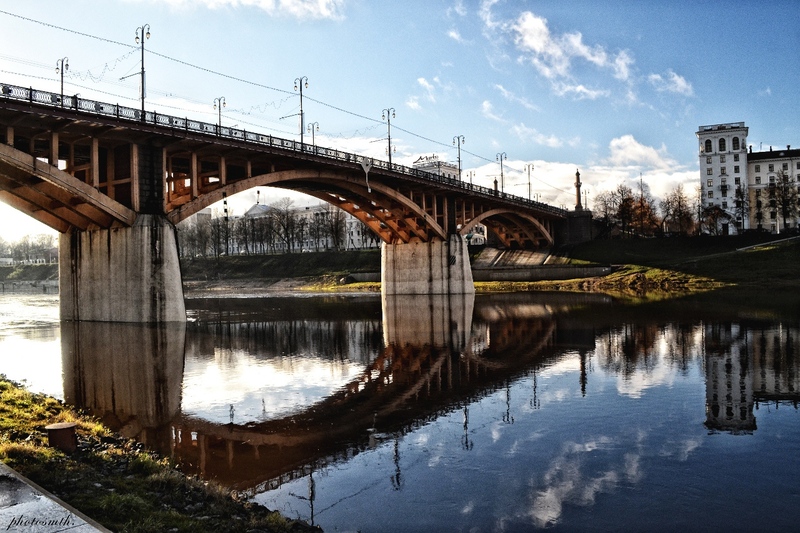 Probably one of the most amazing places in Vitebsk is the Kirovsky Bridge. 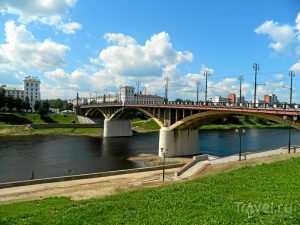 Combining the two banks of the Western Dvina, he suddenly opens up incredible views of Vitebsk, can conquer even the most sophisticated heart. You will always be fascinated by the amazing views of Vitebsk – and it does not matter, you are walking in the winter or spring, when nature just puts in the enchanting greenery, in the summer heat or a rainy day, when each raindrop Vitebsk prettier and blossoms in front. First, a wooden bridge was built across the Western Dvina, and he was called Dvinsky. 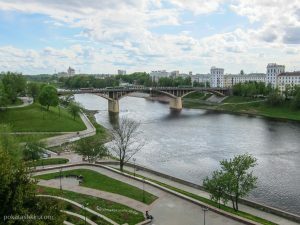 As the history of Vitebsk testifies, every year in June it was rebuilt by the masters of Vitebsk, as it could not stand the flood and ice drifts. 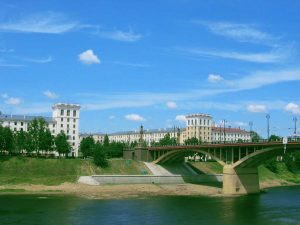 The situation changed dramatically by 1866, when a railroad was built in the right-bank part of Vitebsk and a railway station was built. The city needed a constant and reliable connection with the left bank. Therefore, the construction of a new bridge was started as early as 1863 on the design of two engineers – Amy and Green. The bridge was built with the participation of the retired titular counselor Zimerman and the honorable hereditary citizen Joseph Kateliansky. Already in 1866 it became an ornament and interesting sight of Vitebsk. 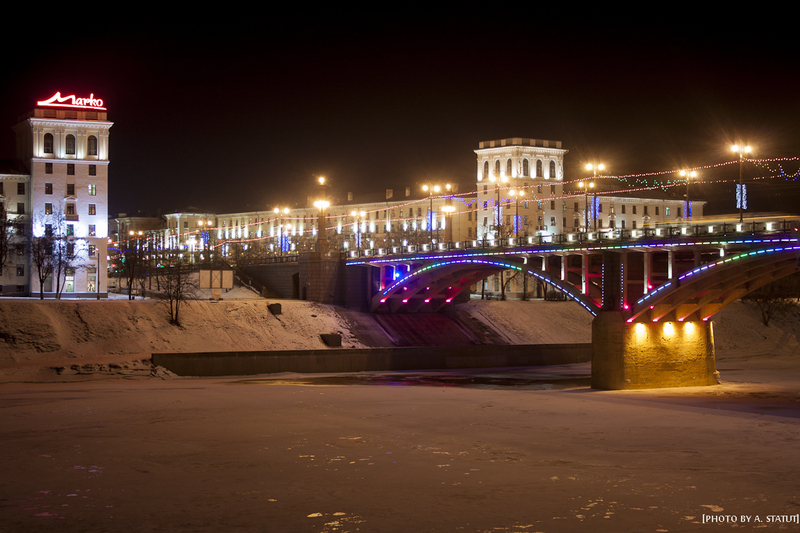 The Dvinsky Bridge consisted of four spans and was decorated with wooden arches. But in the 1880s instead of wooden appeared openwork metal. 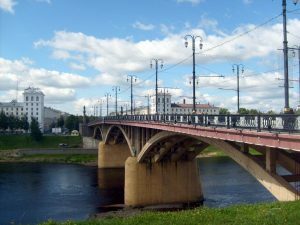 In 1898, with the opening of tram lines in Vitebsk, rails were laid along the Dvinsky Bridge and the rails were made higher. 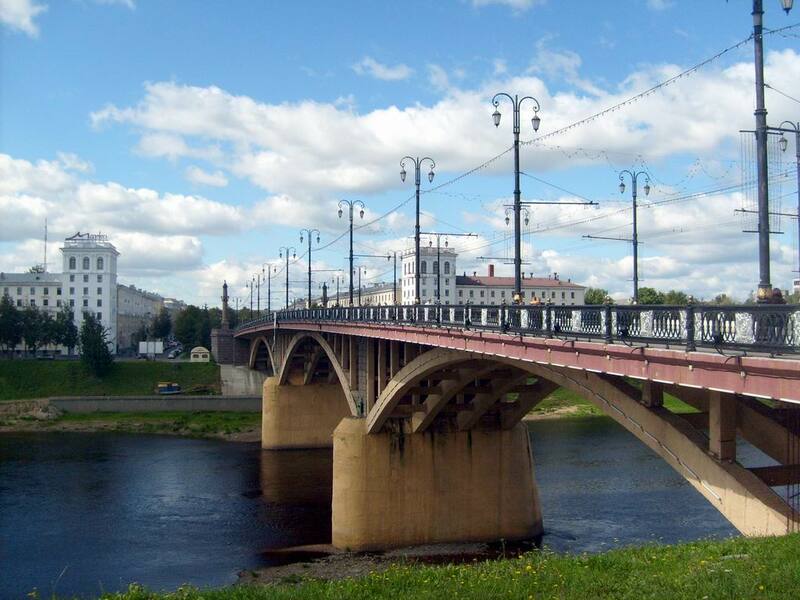 During the Great Patriotic War, when the Soviet troops retreated, this bridge was partially destroyed in Vitebsk, but the strategic way was restored during the period of the German-fascist occupation. 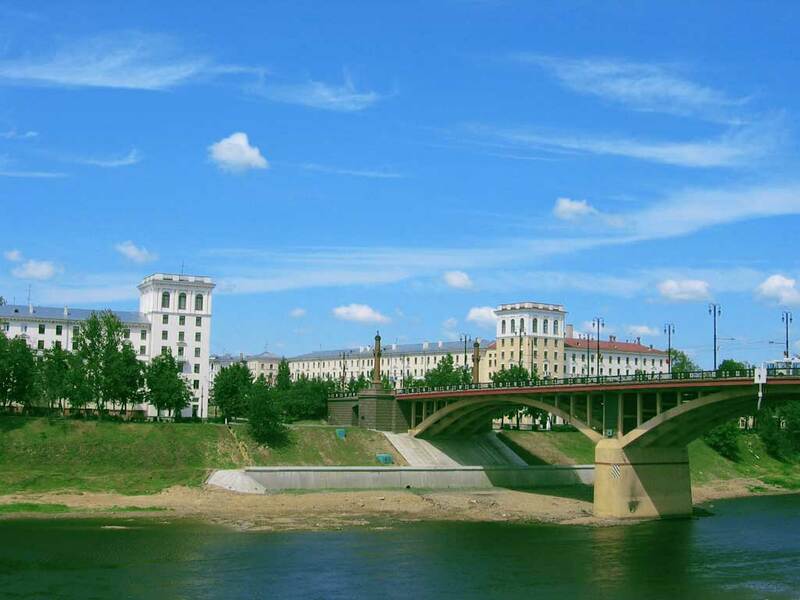 True, the Dvina Bridge still could not survive – it was finally destroyed in 1944. The war was over, and with the restoration of the bridge they did not hurry. The object was completed only in 1955. Then the bridge was named after Kirov. In 2004-2005, another reconstruction of the Kirov Bridge was carried out, during which it was possible to expand the sidewalks and replace the road surface. 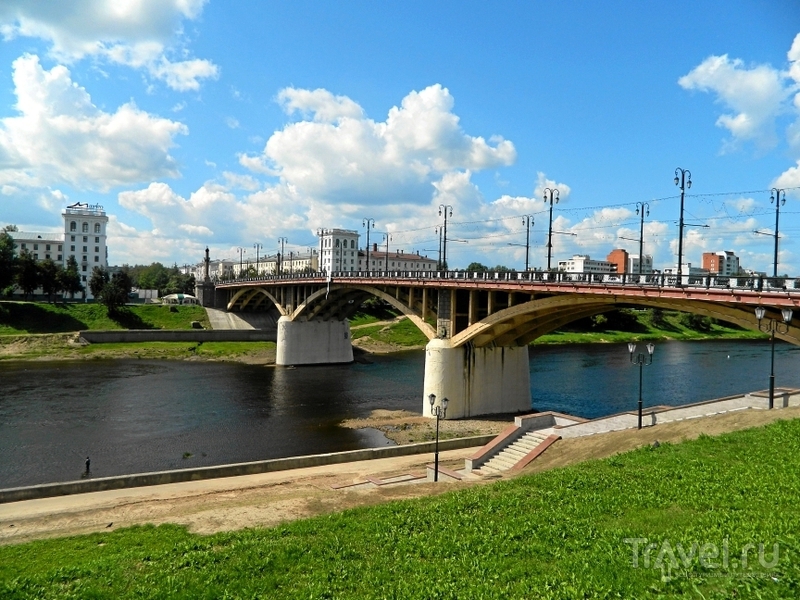 And the Millennium Square in Vitebsk adorned the stone from the foundation of the Dvinsky Bridge, built in 1867. In a couple of years, in 2010, on the Kirov Bridge appeared decorative lights, stylized in the old days, in the mysterious light of which, it seems, come to life pages of the history of Vitebsk.